Following a successful provincial summit to co-develop a strategy for literacy and numeracy, I Love to Read month reminds us once again about the importance of literacy in our lives from cradle to careers. Literacy provides opportunities in all aspects of life and we know that learners, educators, families, and community members all have a role to play in supporting the love of reading. Ian Wishart, Minister of Education and Training for the Province of Manitoba, has proclaimed the month of February 2018 as I Love to Read Month. 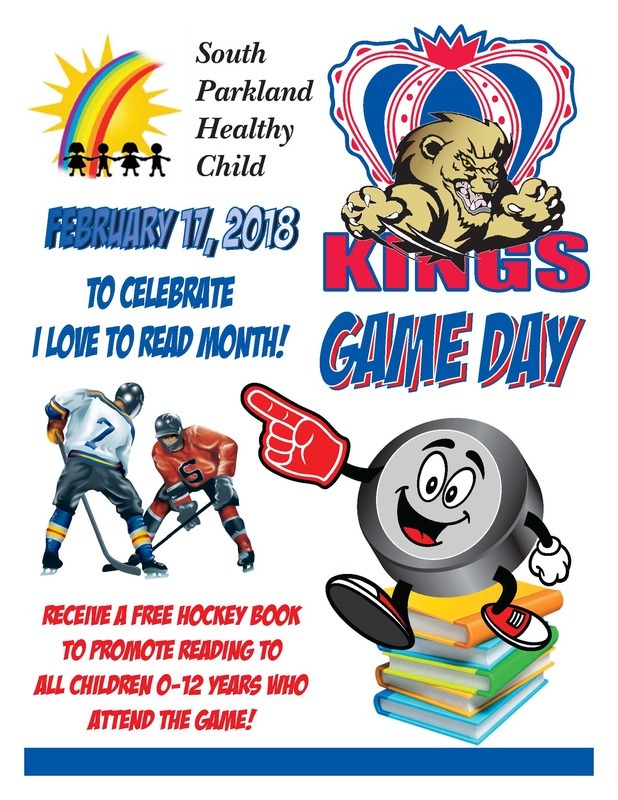 To celebrate I Love to Read Month, South Parkland Health Child and the Dauphin Kings are teaming up and giving away a hockey book to all children 0-12 years who attend the Kings game on February 17, 2018!